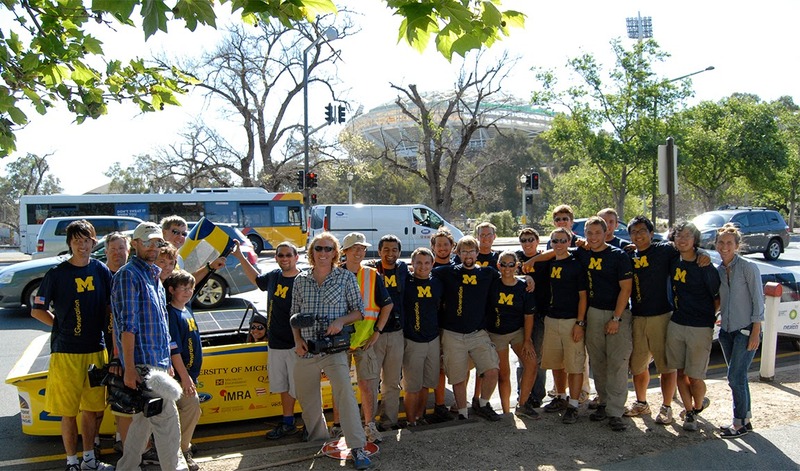 Why did you return to the story of the University of Michigan Solar Car Team throughout the film? I went into the project with a very organic approach to finding a central narrative. I started out with about 2 dozen people and organizations that I wanted to interview and just let the process lead me to my main characters. After meeting the U of M Solar Car Team and having them invite me along to the World Solar Challenge, it became clear that they were a perfect metaphor for the rest of the story. 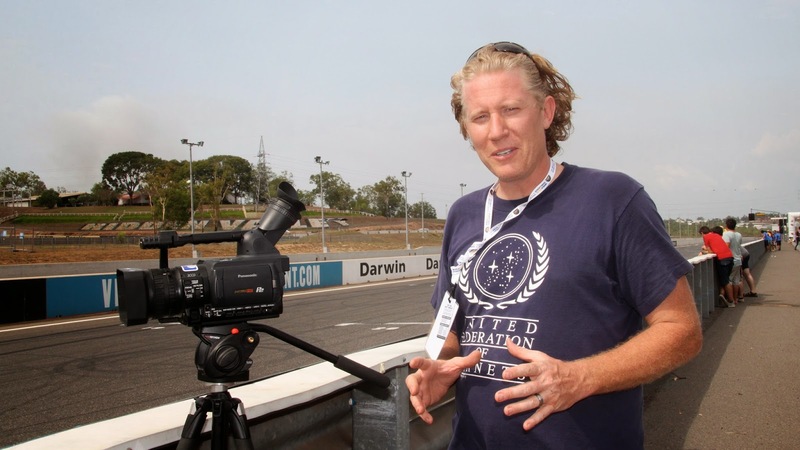 Their story involves education, innovation, enthusiasm, resilience, hard work, alternative energy and auto and culminates in an endurance race for alternative energy innovation. Pretty nice parallel for the rest of the stories in the documentary. Your film tells the stories of several Michiganders and their response to the state’s hard times. Do you have any personal experiences or memories of watching Grand Rapids or the state struggle? I remember downtown Grand Rapids in the '80s being downtrodden and nowhere near the thriving community that it is today. Detroit and Flint were clearly hit way harder by economic depression, but the downturn was felt statewide and took a long time and a lot of hard work by many, many people to turn things around. I’m just shining a light on the people who believed in themselves and in their communities and did the hard work of turning things around. You have lived outside of Michigan for a couple of decades. Was there a specific moment or visit when you felt like the state was really rebounding and felt optimistic for its future? When I was 19 years old I felt compelled to set out and see the rest of the country, learning from experience who I was and what I wanted to be in the world. My family very much valued traditional college education, and I do too, but for a while it was all about rebelling against the prescribed program and seeing things for myself. I do love the Southwestern United States as well, but my heart is and always will be from Michigan. I root for the Tigers, Red Wings, Pistons, and Lions no matter what and love the people and places of Michigan as my home. I was impressed by your depiction of a diverse group of people from every corner of the state who all have the same goal of making Michigan a better place. How did you decide which people to interview for your film? Did you know who you wanted to interview before you began filming or were some of these people referred to you as you were filming? There was a list of people and organizations that I knew right from the start were going to be included: ArtPrize, U of M, Ford and GM’s hybrid electric cars, for example, but I also let the process take me where it wanted to go. One of my standard questions was “Is there anyone else you think I should talk to?” Many of the best interviews came from these leads and happenstance. Joseph Campbell’s famous advice was “Follow your bliss and doors will open where there were no doors before.” That certainly worked for me on this project. I never would have found amazing characters like Larry Santoyo and MOSAIC Youth Theatre by trying to force things; those people and stories came to me organically by me trusting in the process. During the filming of Exported From Michigan, did you learn anything that surprised you? Did anything come up during your interviews that changed the direction you were going with the film? Growing up in Grand Rapids and leaving at 19 years old, I never really knew much about the communities of Traverse City, Ann Arbor, and Detroit. I really enjoyed getting to know these amazing places and the people who live in them. All these communities along with the Upper Peninsula and smaller towns all over the state have great things going on and great stories to tell, and making this documentary was a great opportunity to learn about them. Did any of your interviewees say anything that made you reexamine your outlook regarding Michigan or the world? Yes, I was uncertain about urban farming going into the project, and they ended up being some of my absolute favorite people and stories included. Their integrity and hard work go hand in hand. There isn’t a great profit model there, but they don’t care. They are doing it for reasons other than money, things like community and quality of life, and they are very authentic people. When you return to Michigan today, what are some of your favorite places to visit and things to do? What do you miss most about living in Michigan? The water and green lush landscape that it allows are the biggest difference and the things I miss the most other than the people. The mind power in Ann Arbor is incredible--it’s a force to be reckoned with and very inspiring. The rebirth of Detroit and the art and community there was inspiring, too. There is a vibrant energy there--still a ways to go, but it’s getting better because people are working together to make it better. Where has your film screened? Are there any plans to show it at any upcoming festivals? Is there any way an average person can get the word out to help your film get picked up for distribution? It screened twice at the Wealthy Theatre last June and once at the State Library in Lansing in September of 2014. I’m still waiting to hear back from Waterfront, Riverbend, and Traverse City Film Festivals as well as several others. Please check out exportedfrommichigan.com and the Facebook page to stay updated. A distribution deal of some kind will happen in 2015. Why do you think your film should be picked up by a distributor? Why should people outside of Michigan care about it? This is a movie about people working together to overcome challenges, both economic and environmental, that relates to people everywhere. It’s not a pro Michigan film as much as it’s a pro human spirit film. There is nothing about it that pulls Michigan up by putting other states down. There is a common need we all have to meet the economic and environmental challenges of our time and create the quality of life we want. Do you have any plans to do another documentary? If so, what is the subject matter? I have several ideas of my own, including ones on mental health, technology, and spirituality, and a common ground political solutions movie. I’m also pitching ESPN a bunch of ideas for "30 for 30" episodes. Knowing how much time and money are required to pull a film together, I’m open to listen to others' ideas, especially from people who are willing to help fund another documentary! Exported From Michigan was a four year, 4,000 hour labor of love and we’re still not to the finish line yet. I’m still working hard on finding a distribution deal so the film can get seen by a wider audience. For more information about Exported From Michigan, please click here. For my review of the film, click here.